Past studies have shown how solar eclipses can affect local weather conditions under the path of the eclipse, and the recent total solar eclipse in North America will no doubt give scientists another rare opportunity to examine this further. 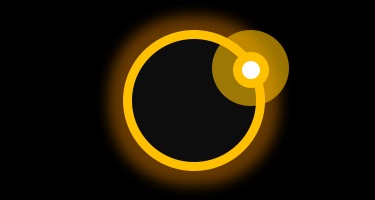 In general, both temperature and wind tends to decrease, albeit temporarily, when a solar eclipse takes place - and this was also exhibited at many weather stations across the United States during this event. 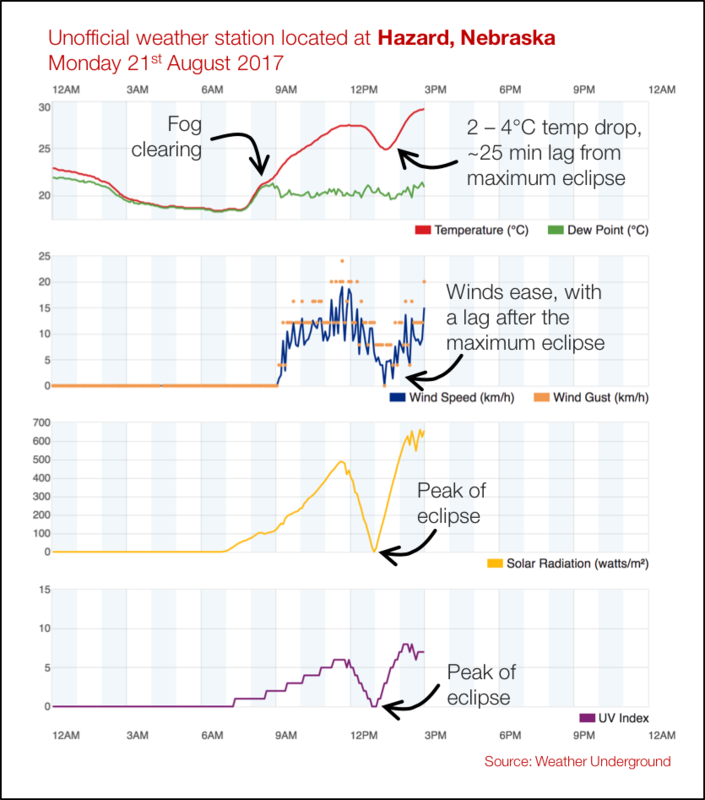 In some places, temperatures fell as much as 6C under the path of totality, with a notable lag after the peak of the eclipse. The graphic below uses 'unofficial' data from a private weather station in Hazard, Nebraska in the lead up to and peak of the solar eclipse. The day started rather foggy (temperature and dewpoints lines very close together) but this cleared to leave a sunny morning, with temperatures rising accordingly. There is, however, a notable decrease in temperature (in this case by approximately 3C) along with an easing of the wind, this peaking some 20-25 minutes after the maximum eclipse. As mentioned in our previous article, a partial eclipse was also viewable from the British Isles, as captured by several people - primarily in the south and southwest where skies were generally clearest.